Tim McGraw and Faith Hill were blissfully married on October 6th, 1996 and have been for married 20 years. Being together that many years for a celebrity marriage is a milestone not many reach. They met while touring together and the rest is history. So sweet that Tim claims he fell in love with Faith's feet first after seeing them in a photo. Hey, to each his own. Tim proposed to Faith during a show they were both performing in. Faith said YES by writing it on the dressing room mirror. They still have the mirror. Their wedding was actually a surprise to all their guests. The guests thought they were going to Tim's annual Swampstock Softball game until the happy couple arrived in their wedding attire. Their reception was in Tim's aunts backyard. They are both romantics at heart. Tim and Faith have three daughters. Gracie, Maggie and Audrey the youngest who is named after her mom. The girls actually sing along with Tim, in his hit The Last Dollar (Fly Away). Faith was married previously and Hill is actually her first husband's name. She continues to use Hill as her stage name but she's legally a McGraw. Congratulations to Mr & Mrs Tim McGraw. Keith Urban and Nicole Kidman were married on June 25th, 2006 in Sydney Australia. They are both proud aussies from down under. They met at a gala honoring Australians in 2005. They didn't date for 6 months after their initial meeting but it was obvious that love was in the air since they married shortly after they began dating. Together this lovely couple have two daughters. Sunday Rose and Faith Margaret. They surprised their fans with Faith since she was carried by a surrogate, but is Mr & Mrs Urban's biological daughter. That was a nice surprise. Keith claims that Nicole saved his life by insisting he enter rehab to kick his addictions. Thank you Nicole...you deserve another Oscar for your dedication and love of KU. 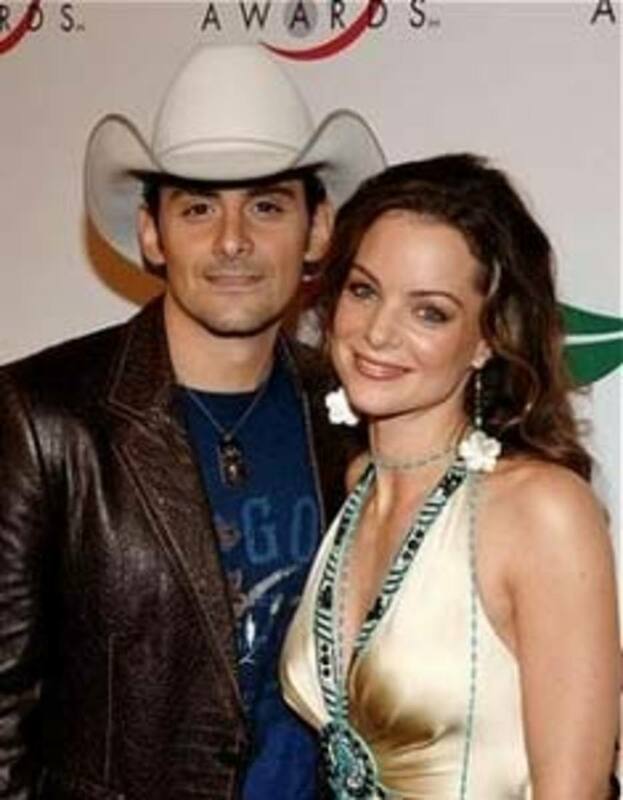 Brad Paisley and Kimberly Williams Paisley are one of those adorable couples that just make me want to smile! Brad fell is awe with Kimberly while watching her in the movie Father Of The Bride which he went to see with a girlfriend. When Father Of The Bride 2 came out Brad was single and went to see the movie solo, he was still in awe. They began dating in 2001 and wed in March 2003. When the time came to shoot a video for his hit "I'm Gonna Miss Her" that called for a female lead he phoned and asked Kimberly, she said yes. The rest is history. Brad wrote the song "Little Moments" for the blushing bride. Any husband who allows his wife to have turquoise colored cabinets is a rock star hubby in my book, not that I'd want that color in my kitchen. Together they have two sons Huck and Jasper. Clint Black and Lisa Hartman met backstage at a New Years Eve show. They married in October 1991 ten months after they began dating. They have one daughter Lily Pearl, Lisa was 45 years old when she gave birth! Way to go Lisa. You might remember Lisa from her four year run on the nighttime drama Knot's Landing which happened to be one of my favorite shows and I was very sad when it was cancelled! Clint took a three year break from the music industry when his daughter was born, he claims it wasn't a smart business move and has ZERO regrets! Way to go Clint. Clint released his last CD in November 2011. 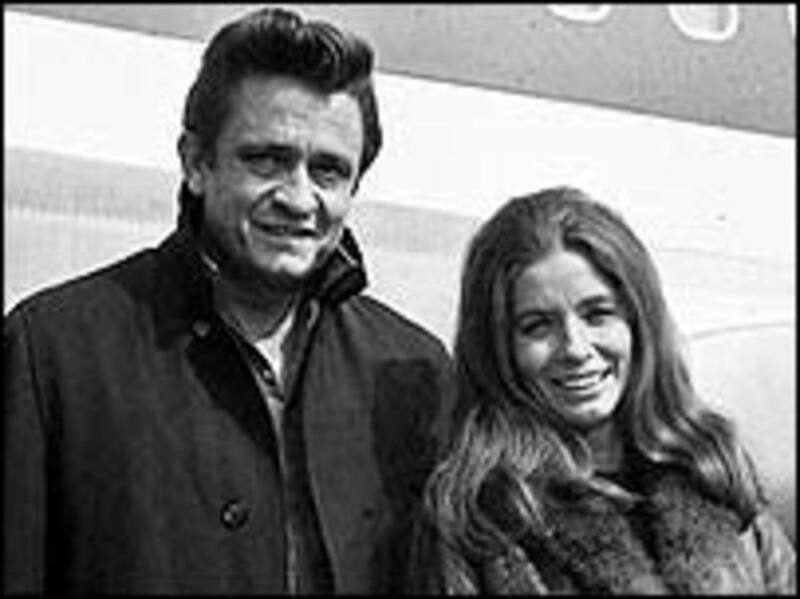 Johnny Cash and June Carter Cash were married for 35 years before they passed away four months apart. June died on May 15, 2003 and Johnny shortly followed on Sept. 12, 2003. Their marriage was unique and they earn an atta couple in my book for longevity. They both had previous marriages which produced children that also became country music singers. Johnny was and always will be a country music icon! June, about Johnny: "One morning, about four o'clock, I was driving my car just about as fast as I could. I thought, 'Why am I out on the highway this time of night?' I was miserable, and it all came to me: 'I'm falling in love with somebody I have no right to fall in love with...I can't fall in love with this man, but it's just like a ring of fire.'" Johnny, about June: "She's the greatest woman I have ever known. Nobody else, except my mother, comes close." George Strait and Norma are a very private couple. Kudos to them! They had two ceremonies. George dropped out of college and together they eloped to Mexico. A few weeks later they said their vows in a church in December of 1971. Shorty afterwards George joined the U.S. Army. 40 years of marriage for George and Norma! If they weren't so private we might know their secret. Maybe one day they'll share. Their marriage produced two children. George Jr. (Bubba) and Jenifer Lynn. On June 25, 1986 at the age of 13 Jenifer died in a car wreck. George and Norma started a foundation named the Jenifer Lynn Strait Foundation. The foundation donates money to needy children in the San Antonio, TX area where they are residents. I wouldn't mind having George as my neighbor, who would!? George and Norma are soon to be grandparents in Feb. 2012 courtesy of Bubba and his wife. 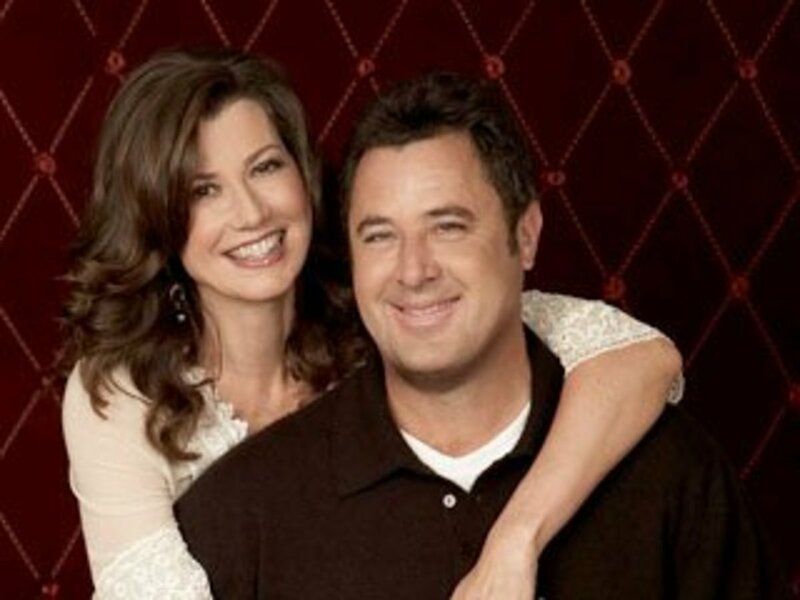 Vince Gill and Amy Grant married on March 10, 2000. They both had previous marriages. They were both married when they first met. It took two divorces, ten patient years of waiting, lots of faith and sleepless nights to finally create a union. Amy had three children with Gary Chapman. Vince had one daughter with his ex-wife. Together they have one daughter who they named Corinna. Amy is famous for her christian pop music. As a duet or solo they make beautiful music that could touch a person's soul. Hey Y'all ... Thanks for stopping by and sharing your thoughts on my favorite country music marriages! This was neat to read about! I didn't know Keith Urban went into rehab. Johnny Cash and June Carter Cash had a good long marriage! The other couple really long married I don't know about. Johnny was a great singer and the Carter family sang a lot of old country songs too - good to listen to them. Enjoyable hub, thanks. Great love stories, enjoyed reading. How romantic! I only knew about Tim Mc graw and Keith Urban. Great write. Voted up. A fun list and I love them all. What a fabulous hub! I love reading these stories of how these couples met and married. Vince Gill played with a country group near where I lived in Nashville. My son, who is a bass player for several starring groups, invited me to hear Vince and introduced me to him. What a nice guy! And he can really make his guitar sing. 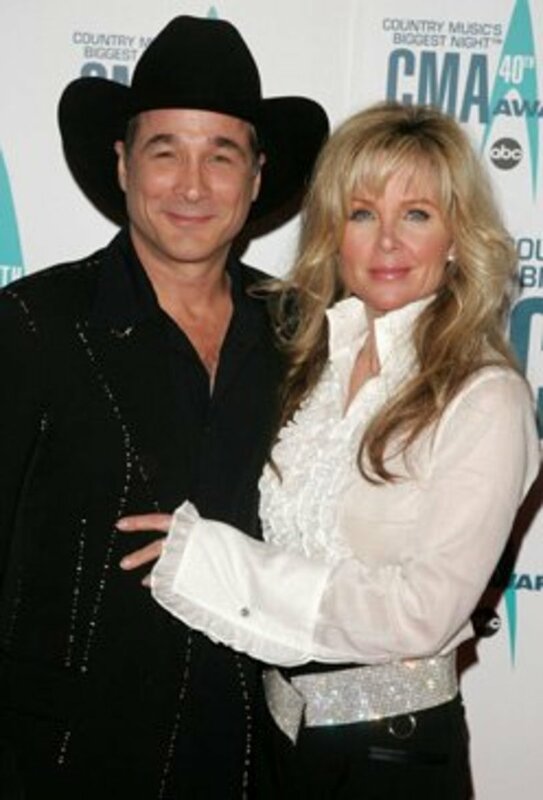 My favorite couple is Clint Black and Lisa Hartman. How I yearn for the "Knot's Landing days." Jools99 ~ quester.ltd ~ mrsbaker02 ... Thank you for your comments! Great list! They are all such great couples! George Strait and his wife are so inspirational. My husband and I love Blake and Miranda. And how could any country music fan not love Johnny and June? I love Amy Grant Linda, got a few of her albums from her early days (though I didn't know she was a Christian singer til I bought 'em) I have always just loved her voice and I like Vince as well. He sings a duet on one of her albums I own. Daisy ~ Mary ~ Audrey ~ Christy ~ handymanbill ... Thank you all for your comments and birthday greetings (I'm a bit late with my response). I appreciate y'all. Tim and Faith are my favorite to Great Hub. Awww! They are all so cute! What a refreshing hub and a tribute to being married! As you mentioned, celebrity marriages aren't known for their longevity so that makes these extra-special! BTW June 25th...guess we have to make this a hub pages celebration! Read lots of SS hubs and send lots of birthday wishes. HAPPY BIRTHDAY!!! Happy June 25 th Birthday! I somehow missed this Hub among all your great music-related articles. 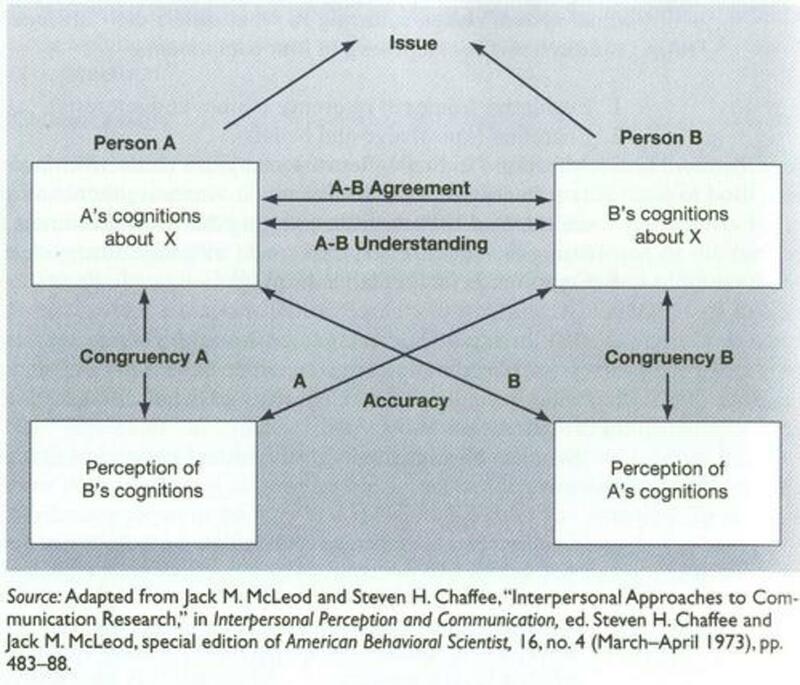 I enjoy reading about the *couples aspect* of country music. It makes the genre even more interesting. O Linda..I am filled with awe. What a beautiful way to appreciate love. Beautiful hub. Thank you. P.S. Tim McGraw and Blake Shelton if you ever read this hub, thank Linda and know that I want you, either one of you! period. I did not know how Tim proposed to Faith, but that is adorable!! Those two are so cute and romantic always! Miranda and Blake are awesome, as are Keith and NIcole. As for the other marriages, I didn't know the nitty gritty of when they met, so thank you for sharing!!! Nicely done, Voted up! LOVE these country music couples playing such beautiful music. you captured their moments (youtube) well, Linda!! These are great examples of the sanctity of marriage. Thanks so much for SHARING these awesome stories of love! Wow, I these are Country's super couples. Love it!! My favorite music couple is Ricky and Sharon Skaggs. Sharon is part of the Whites (who appeared in the film "O Brother, Where Art Thou" singing "Keep on the Sunny Side"). Thanks for the Hub. Wow! I love music and this made my morning. Long hub, so well written that you hang on it section by section. Thanks, especially, for videos of them performing! I voted up and awesome, and I especially like Faith and Tim, because they are real down to earth people,sharing the sweetest looks for each other. I am fans of the others also. But I like Toby Keith, and the movies he made, they were very good. Did you see them? You have written so many hubs and been here the same time I have, I feel like I have been goofing off. Anyway, I enjoyed your hub very much. Great information and great research along with the expected Sunshine humor. Loved it! Wow this was fun! I did not know about Brad and Kimberly. Your Faith and Tim video is not working so you better hurry and fix it before someone flags you instead of telling you. Voted up and I will be sharing it being such a fun one! Hi Sunshine! This was a very lovely and uplifting hub! It is great to see happy people:) I learned some new things and enjoyed the videos. Voting up! Oh, I am a big fan of the Beegees. oh, I have been considering a Cash poem for sure. Flora...do I sense a Johnny and June poem coming up!? Good idea! Somewhat expected for someone who loves artists from the past, I'd have to say my favourite couple are the Cashes. Hi Sunshine, some lovely celeb couples here, I loved the videos, and especially like Keith Urban and Brad Paisley's music. Hi Sunshine! WOW, you've impressed me with all your fine knowledge here. You just got one thing wrong though: Keith Urban is actually secretly married to me! LOL. Nah, Nicole's a lucky girl. I didn't know that one of their daughters was carried by a surrogate? Great topic for a hub! Thanks for all of the detailed information and videos. @Barbara ... you are too funny! LOL!! Geegee......meet me on the corner, 5:30pm, we're gonna work this out, like ladies! (ha!) George promised ME he'd love ME forever!!!! See you @ 5:30pm!! Bring a lunch! @ambassador I'm so glad you enjoyed this hub! Jackson has been stuck in my head since I wrote this hub, I love that song and J & J! Aw, I loved reading this!! As SOON as I saw the title, I immediately thought, "FAITH HILL AND TIM MCGRAW!" and was so happy to see that as the first one! I didn't know that about Tim falling in love with her feet! That was so funny! Tim & Faith and Johnny & June are my two favorite country music marriages! =) Johnny and June are such a classic. I completely forgot about Amy Grant! How could that be!? Hi, I really enjoyed this, its great to see celeb couples staying together. I only know a couple of names, but I do watch the Country music programs over here in England when they show them, fantastic! Keith Urban poem is now published. Hey cogerson...OUCH about Demi and Ashton. I kinda think it's the producers of Two & A Half Men who are causing havoc AGAIN to up their ratings just like they did with Charlie BUT then again I'm a bit surprised Demi and Ashton lasted this long! Hi GeeGee ... no problem fight away just as long as no one fights for Tim or Keith I don't mind at all. George is an awesome guy too! Hi anupma ... 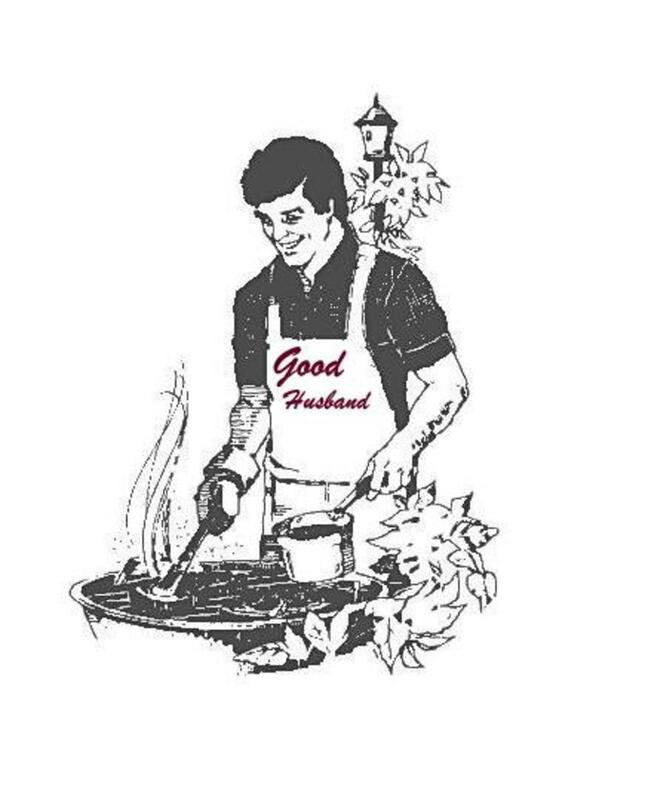 I like your taste in country singers! Awesome. . . I like George and Norma Strait and Tim and Faith. First of all....congrats on your excellent interview on the weekly hub page interview. Second of all....what a nice collection of long lasting country marriages...very informative information....I liked when celebrity couples stay together....it always seems sad when the marriage ends....I think it is only a matter of time before Demi and Ashton break up. Third of all....congrats to Tim and Faith on 15 solid years. Fourth of all....great video and picture selection for this hub. Fifth and final of all....voted up interesting and awesome. June & Johnny and Faith & Tim are my favorites too. I remember thinking when Faith and Tim got married that it just seemed amazing that those two were so beautiful together. I'm reading from my iPad, an Apple creation, by Steve Jobs. NOPE.....I SAID, it's MY George!! @barbara ... videos are probably blocked if you are reading from your phone. geegee WILL fight you for George! Personally I'm not thrilled with the affairs either but they gotta live with it, not us. I sure wasn't going to add Leann Rimes to this hub! lovin' these country couples! 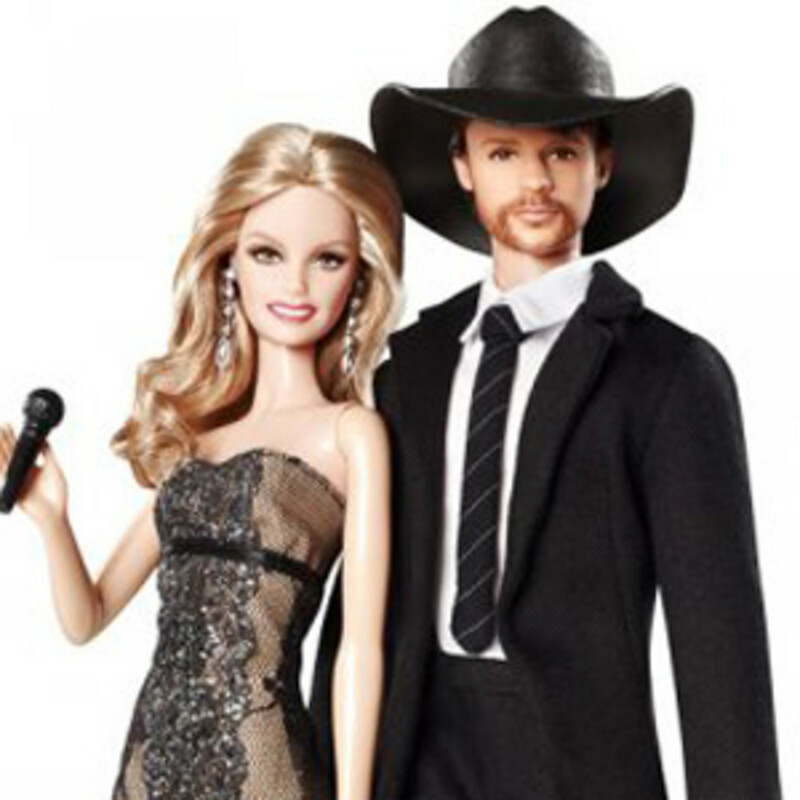 My favorite are Tim & Faith, Nicole & Keith, and Miranda & Blake! HAPPY ANNIVERSARY TIM & FAITH!! I LOVE the name Keith & Nicole gave their daughter 'SUNDAY ROSE', and.......the 'sames' you share with them!!!!! geegee.....I'm SO sorry, that is MY GEORGE, thank YOU. ;=) the very sight of the name George makes me feel warm inside! ( had I been a boy, name would be George, seriously). 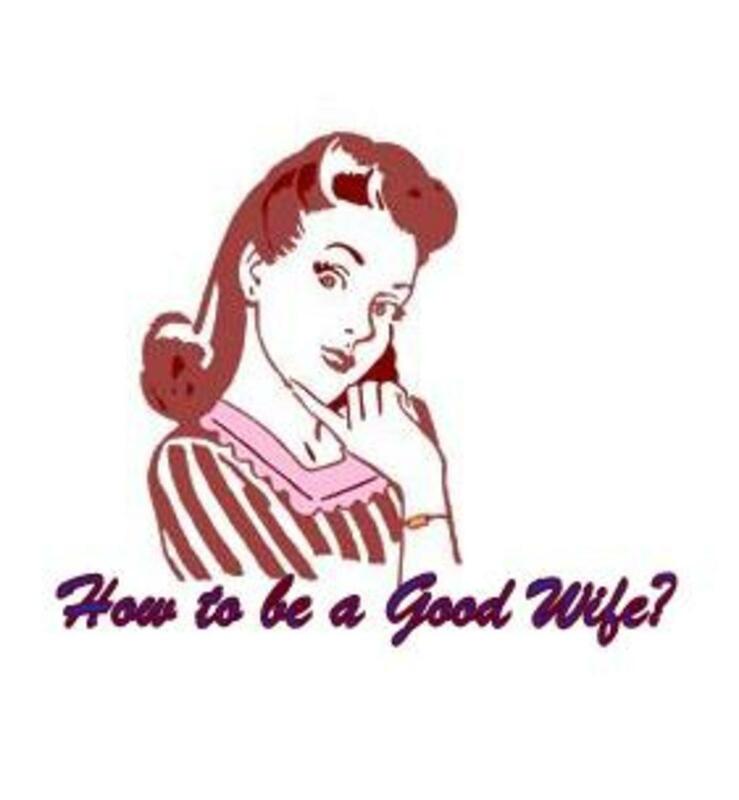 PERSONALLY.......I have an 'issue' with the married ones being so public about their affairs (remember-PERSONALLY). Vince and Amy aren't the only ones either. Despite that, I am THRILLED they are now happy. I also hope the old saying of "if s/he did it once, they'll do it again" doesn't hold water with them. I love this brilliantly written Hub! I voted up clear across the board!!! All of these couples are such beautiful people!! And their music is great. 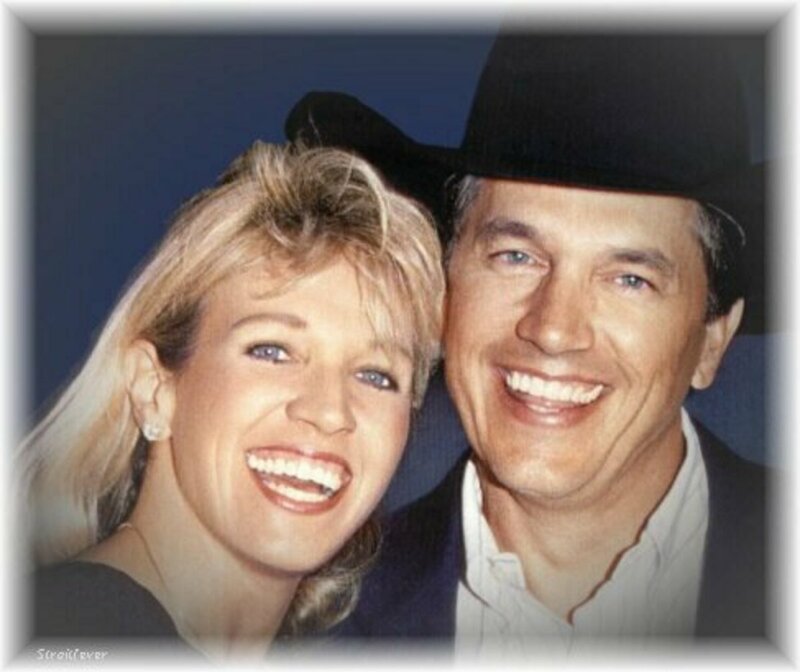 40 years for George Strait and his wife! That is amazing! Awesome hub, Sunshine. @geegee I'm glad you liked the video and I still miss Knot's Landing!! Thank you my friend! !